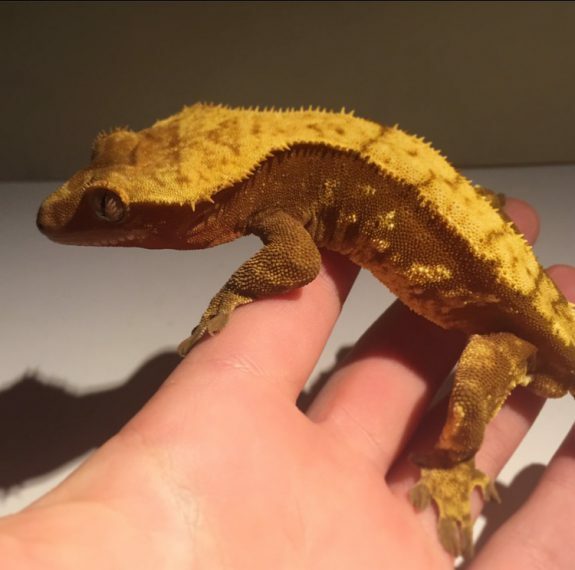 Owning a decent-sized collection of crested geckos (Correlophus ciliatus) means that there is often a need to change up the types of food offered, especially during the colder winter months, when they may experience a short brumation period. As a result of the colder temperatures, there is usually a notable decline in the amount of food consumed overnight. 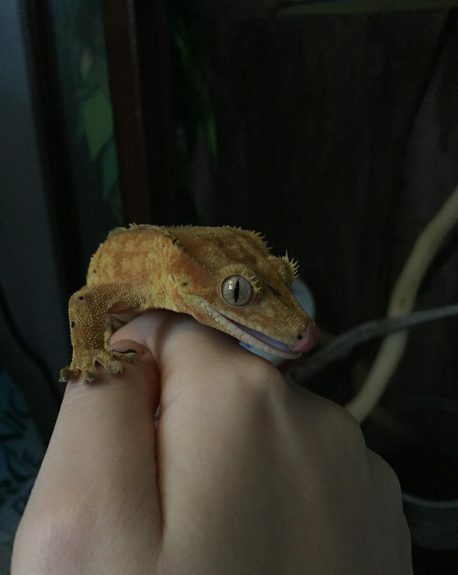 This lack of appetite inspired me to try out some alternate food sources in an attempt to get them eating a normal amount again, which is generally a single bottle cap filled with either Repashy or Pangea CGD (Crested Gecko Diet) every other night. T-Rex Sandfire Super Foods Crested Gecko MRP: $8.02 for 1.75 oz. The first product I tried was the T-Rex Sandfire Super Foods Crested Gecko MRP (Meal Replacement Powder.) I purchased the 1.75 oz bottle online with the hope that a product associated with Repashy (T-Rex uses an older version of Repashy and labels it under a different name,) would be accepted easily by the geckos considering they already regularly feed on the Repashy 3.0 formula. However, not a single gecko would touch the stuff, and even attempts to sweeten it with all-natural honey failed to lend positive results. As a result, I definitely would not recommend this product. Zoo Med Day Gecko Food: $7 for 2.5 oz. The next product I tried was the Zoo Med Day Gecko Food, which was much more well-received than the T-Rex brand MRP. I served this food mixed with water initially and then served it dry later on as per the instructions. The food was a huge hit both times, and when it was served dry, the geckos did not seem to mind that it was a powder as opposed to the more liquid food they are used to. My only concern with this food was the relatively low crude protein content for a product being marketed as a “complete diet.” The recommended crude protein minimum in food for omnivorous reptiles (on a “dry matter basis,”) is between 20-25%, according to the Merck Veterinary Manual. The crude protein minimum in this product was only 12.0%, which is low compared to the 23% found in Repashy (which is also marketed as a complete diet,) and falls far below the veterinary recommendation. This lack of proper nutrients makes me skeptical of the product’s legitimacy as a “complete diet” as it is marketed, but would not stop me from rotating it into the geckos’ diet. Zilla Reptile Munchies Fruit Mix: $6 for 2.5 oz. 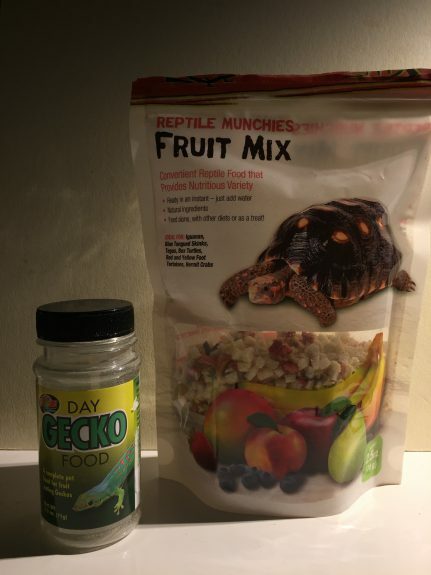 The next product I tested was the Zilla Reptile Munchies Fruit Mix, which was different than any other food I had tried for the geckos. This product is a blend of chopped-up dehydrated fruits, including banana, strawberries, mangos, pears, and blueberries. A great feature of this food is that the only ingredients listed were the dehydrated fruits, and it does not contain any preservatives or artificial sweeteners. For some reason, none of the eight geckos in my current collection is a fan of fresh banana, and as banana is an ingredient in this product I was hesitant to try it, but the wide variety of other fruits included in the mixture led me to believe that there was a chance that the geckos might enjoy it. Fortunately, the gamble paid off, and the food was a hit with the geckos. In fact, six out of eight bowls had been completely cleaned by the next morning, which was exciting. Because of the great feeding response, I would completely recommend this food, and intend to continue using it to supplement the diets of my own animals. Zoo Med Adult Formula Crested Gecko MRP: $8 for 2 oz. The next and final product I offered the geckos was the Zoo Med Adult Formula Crested Gecko MRP. This food was initially intriguing because of the variety of natural ingredients included in the formula, including dried fig, banana, and papaya, as well as hibiscus flowers and bee pollen, which is often used to encourage picky eaters. However, the response I got from the geckos was lackluster, with only two out of eight geckos eating even half of the food. This food does meet the Merck Veterinary Manual standard for crude protein content at 20.0% so it could technically be treated as a complete diet, but the less-than-stellar response from the geckos leads me to not recommend this food. An important aspect of owning any reptile is making sure that you are providing a balanced diet, which is especially true for crested geckos. This species can develop a variety of health problems including FTS (Floppy Tail Syndrome) and MBD (Metabolic Bone Disease), both of which are caused by calcium deficiencies and nutritional imbalances. However, it is extremely easy to combat both of these diseases, and all it takes is a balanced or ‘complete,’ diet. While I would definitely recommend some of the products mentioned above, it is necessary to understand that they are not complete diets, and should not be treated as such. In fact, no supplementation should be attempted without a solid food such as Repashy or Pangea making up as the bulk of the diet; as both diets are formulated with the perfect balances of calcium, vitamins and other nutrients necessary to keep reptiles healthy. Fresh fruit and fruit-based products such as the Zilla Reptile Munchies Fruit Mix should make up no more than 10% of the diet, as even though these geckos can be classified as frugivorous to a certain extent, they do need insect protein which cannot be found in a fruit-only diet. In summary, creating a balanced diet for reptiles in captivity can be challenging, especially when faced with a relatively small market of commercially available products. As long as the proper nutrients are balanced through a solid staple food like Repashy or Pangea, there is no reason why owners should not try out alternate food sources in order to provide a more varied, naturalistic diet. Rachael Evasius is an aspiring zoologist who currently volunteers at a wildlife sanctuary focusing on the rescue and rehabilitation of reptiles and exotic mammals. 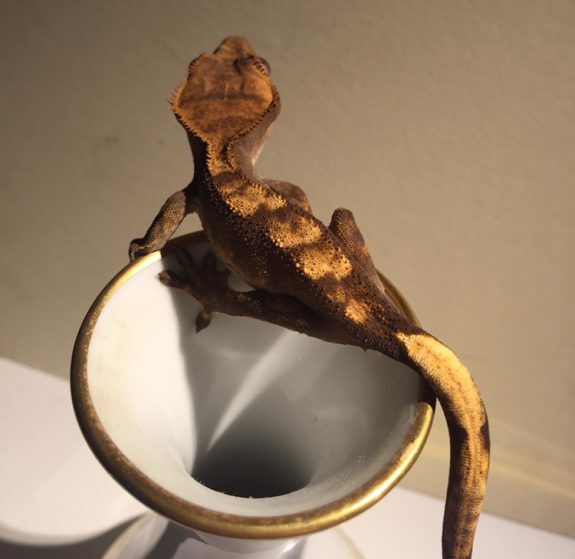 She is a hobbyist crested gecko breeder and amateur wildlife photographer. I think I’ll give the dried fruit a go, though. Repashy-eater occasionally eats raspberries. Interesting read! I use Pangea and tried some Repashy at one point but my gang wasn’t into it. I keep my own gecko mostly on fruits and insects. If you give some more insects compared to what you would give to a cgd-eating animal, its nutritional needs are met. The fact is that insects give much more quality protein and geckos prefer more the fruity mrps with the less protein. But why should you make them eat the normal quantities in winter, while their body tells them to get a break?